I told you all I would be back this week with more about my beloved tobacco leaf china obsession. 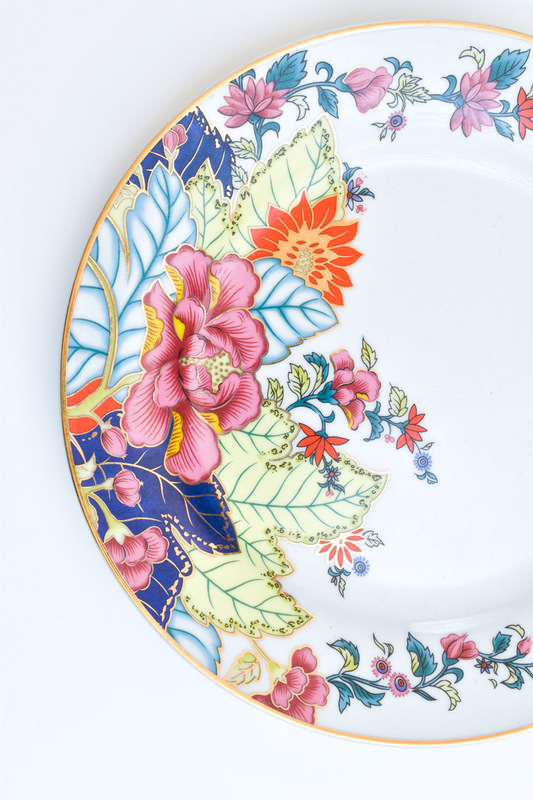 Tobacco leaf china dates back to the 18th century, and the Mottahedeh family has been reproducing the china pattern for households and museums for over 90 years. 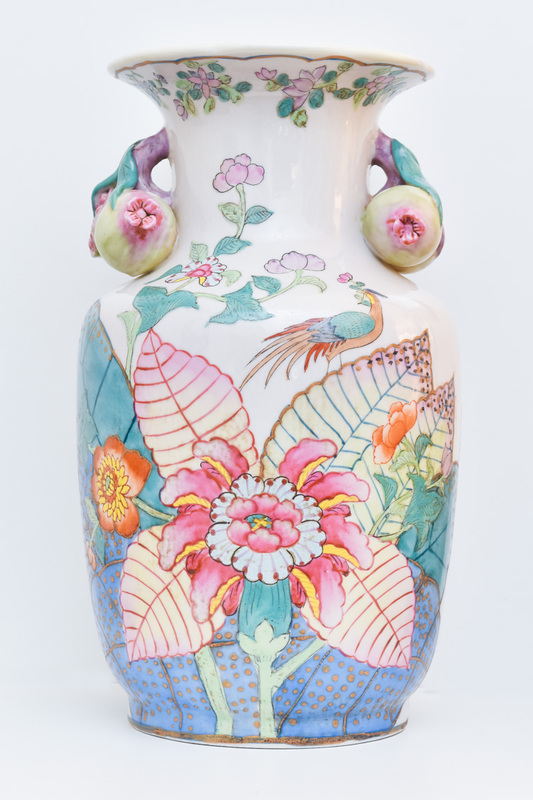 This extravagant design was originally made in China, probably for export to the Portuguese and Brazilian markets. Of all the 18th century dinner patterns, this was the most highly prized. A small phoenix bird perches on the leaves of the flowering Nicotiana (Tobacco) plant. Twenty-seven colors and 22k gold make up this pattern based on an original in the Metropolitan Museum of Art. This pattern, one of the longest running patterns by Mottahedeh, continues its strong popularity today, showing that good design is timeless. 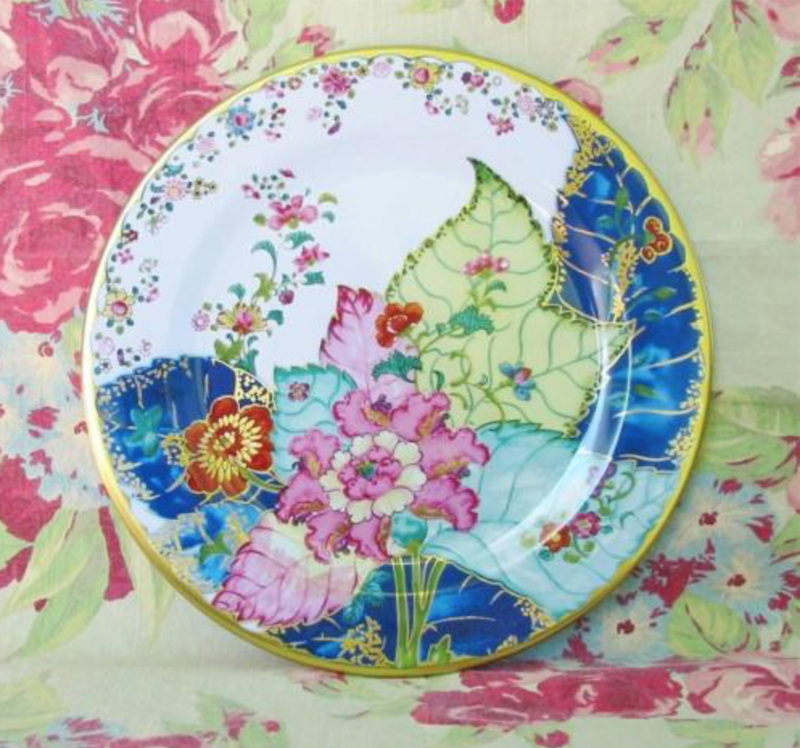 Mottahedeh isn’t the only brand to carry the highly sought after tobacco leaf china pattern. Imperial Leaf also had its own version (and this is the reiteration I’m personally trying to curate a collection of, see my photo below), as did Horchow and Gumps (under the Carolina Gardens pattern name). 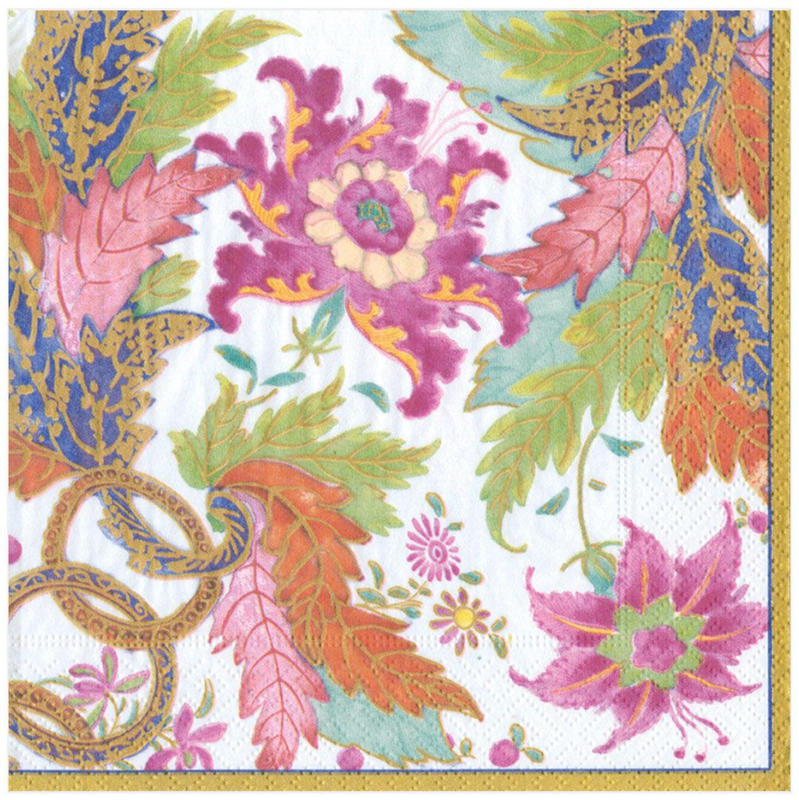 Another tobacco leaf pattern that was popular in the 1970’s is the one created by Seymour Mann. 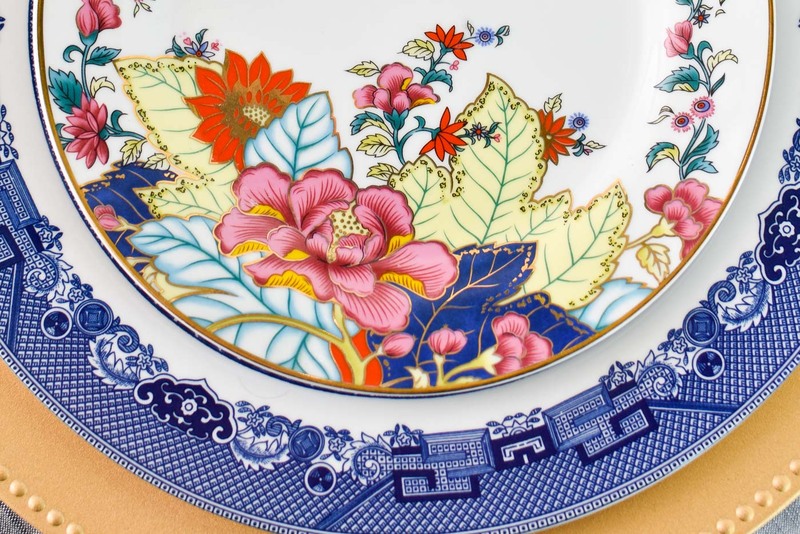 In addition to fine china, the tobacco leaf pattern and motif can be found on various home décor pieces imported from China and Japan under no particular brand name. 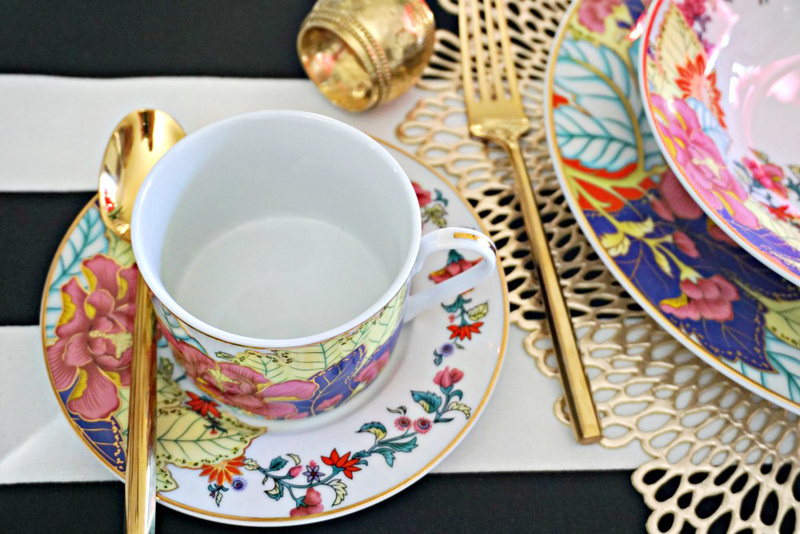 How do you find these beautiful housewares and tablewares? There’s a few ways! 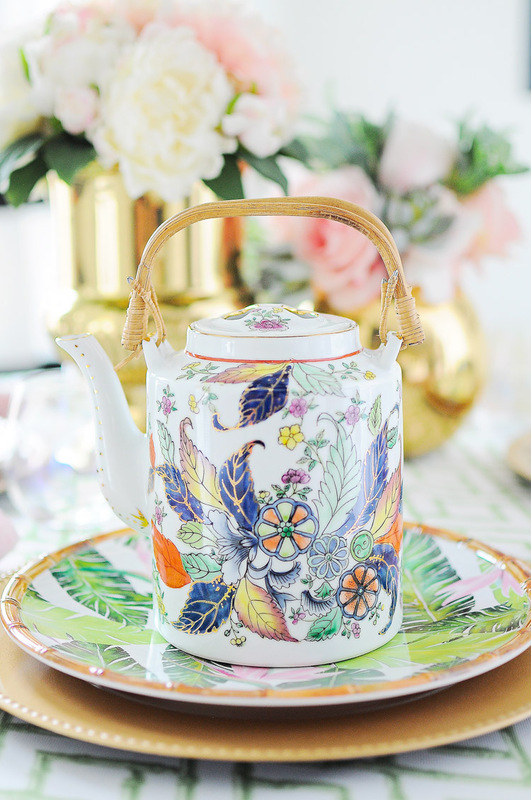 The recent popularity of all things chinoiserie has led to quite the demand for antique/vintage tobacco leaf china and décor. You can buy new tobacco leaf china online easily, but it is very expensive. 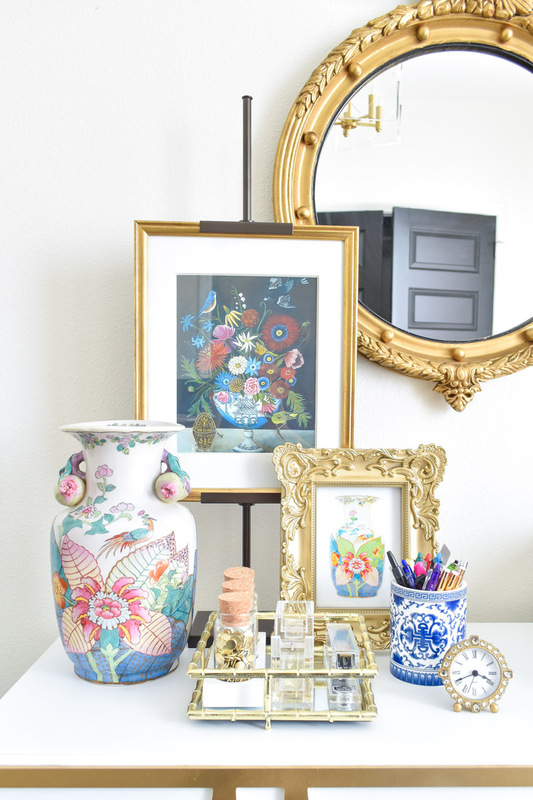 I love the thrill of the hunt for antiques/vintage pieces, and I have several online sources I check regularly that I’ll share with you below. eBay: This is my favorite, top choice for finding my coveted Imperial Leaf china pieces. I’ve bought a set of four salad plates and a creamer and sugar bowl set for $40 total with free shipping. That is a bargain! I set alerts for both “tobacco leaf decor” and “imperial leaf china” in My eBay, so I’m always scouting to see what is posted. Some sellers have items that are negotiable, so make a reasonable offer (I don’t go more than about 15-20% below their asking price, especially if they’re already offering free shipping)- that’s what I did on my salad plates, seen below! I will say that tobacco leaf decor seems to be pricey (and less negotiable!) on this particular platform, but the china is reasonable. EBTH: Everything But The House (EBTH) is auction site meets estate sale. Items start at $1 and go up from there. Like eBay, I set up keyword alerts to know when new items are posted. I’ve never won anything tobacco leaf related on this site because the prices can get high and shipping is also a bit on the high end. But it’s still a feast for the eyes and they add items constantly. I also search for bamboo flatware on here a lot, and there’s also some gorgeous bamboo Tiffany & Co. items occasionally. Etsy: Boy, seems like all these sites start with the letter “e”. You may think of Etsy for handmade goods, but there are many antique/collectible shops on here. The prices are reasonable, but it doesn’t seem to have as many tobacco leaf items as eBay at the moment. It’s harder to find sets of 4 on Etsy, so you’ll likely find one random coffee mug or something along those lines. Instagram: I know, you’re probably thinking, “I can shop on Instagram?” and yes, you can. There’s accounts that essentially post a photo of an item they’re selling, and in the caption you can see the price, item details/history, etc. To buy, you sometimes comment or DM the seller, they send a PayPal invoice, and off you go. 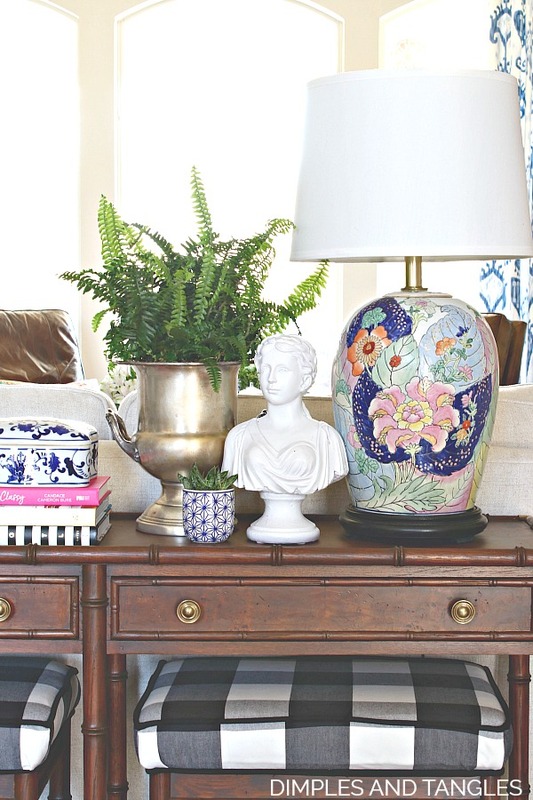 My fave sellers for tobacco leaf/chinoiserie inspired finds are Lillian Grey’s Vintage Home (whom I’ve personally purchased from- she’s fab, see my vase below! ), Parker Kennedy The Cellar, House of York, The Eclectic Pagoda and The Paisley Pagoda. Replacements: This website is a go to source for completing your china set or replacing the bowl a family member breaks during the holidays. It happens. They have fair pricing and a robust inventory. Chairish: Prices to me seem high, but you can make an offer, so it’s worth checking occasionally. Lots of unique stuff here, but at a higher price. 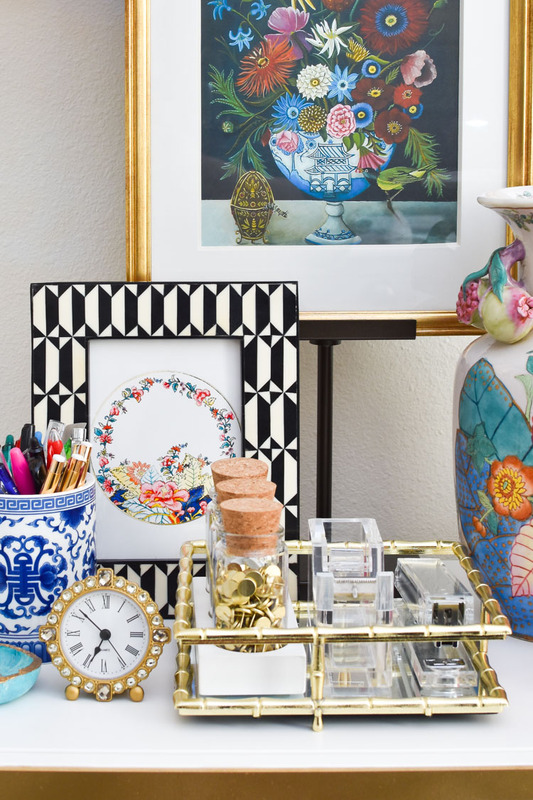 On a local level, scour your estate sales, antique, and thrift stores. I’ve only found two tobacco leaf pieces in person. I found a vase at an estate sale and haggled the price down from $100 to $25. And then I found this teapot sitting on a dusty shelf in a local junktique store for $12. 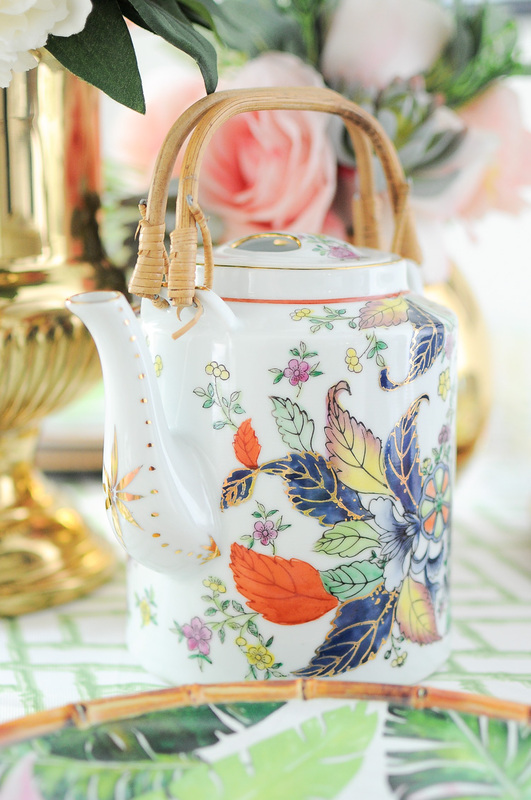 I mean…look at how beautiful this teapot is! My blog friend Jamala from Viva La Vintage for Your Home was BEYOND LUCKY to find a set of Imperial Leaf china at her local Goodwill. She scored an entire set for next to nothing. 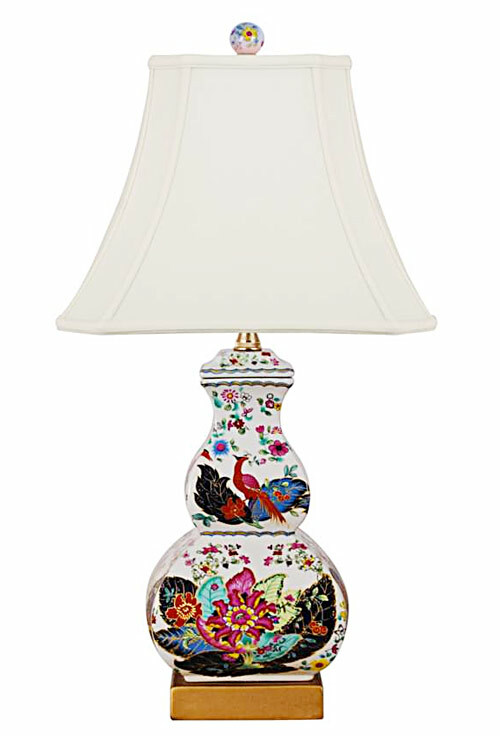 And my other friend Jennifer from Dimples and Tangles got her hands on these stunning lamps at a shop in her area. So, let’s say you don’t really care to find antique china and decor with the tobacco leaf pattern. Is there a way to just buy it new and move on with life? Sure! However, it’ll cost you. Mottahedeh tobacco leaf china can be found brand new very easily, but each piece is pretty pricey (+$95) by most people’s standards. If you need less fancy options, you can buy beautiful disposable plates, place cards and napkins with a modern take on the pattern. 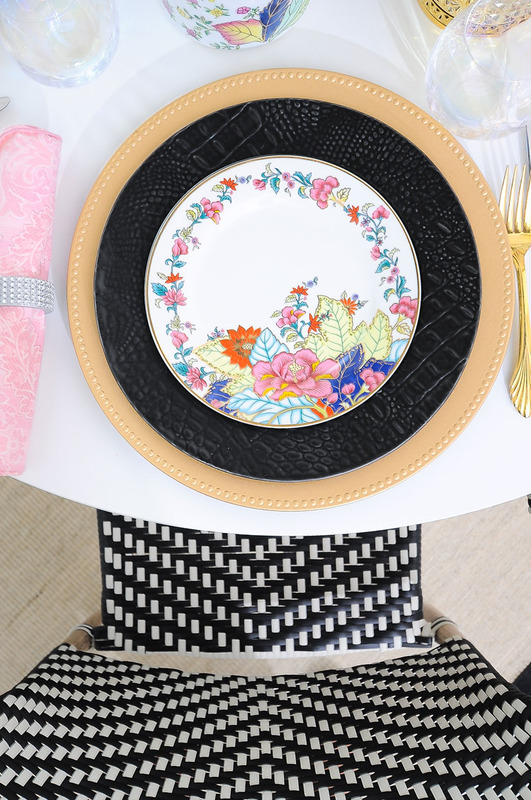 This would be great for a holiday dinner or a bridal shower. You can also find a tin reproduction of the plate itself for about $10/plate. I’d recommend if you go this route that you place the tin plate under a clear glass plate (Dollar Tree sells some) so that cutlery doesn’t ruin the finish on the plate. 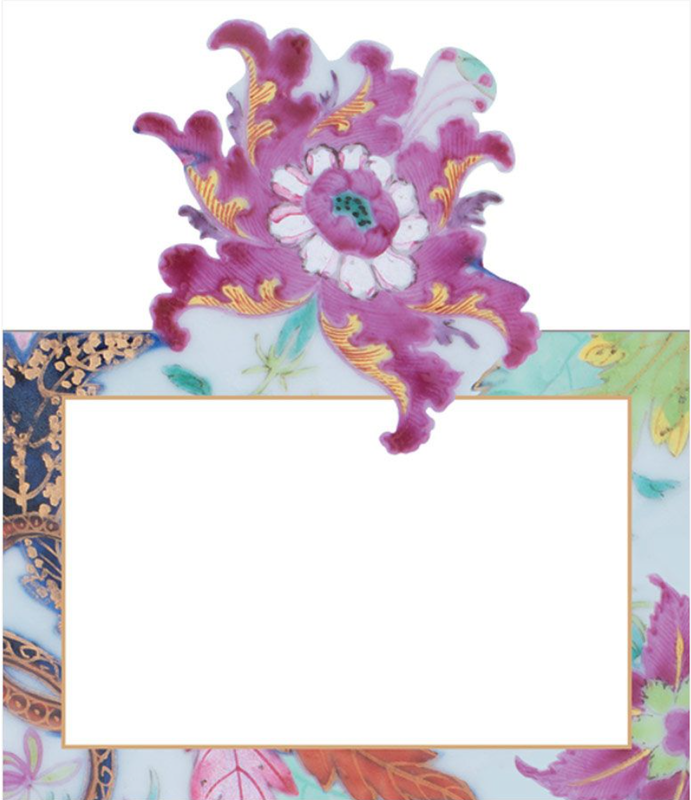 You all know I adore floral patterns, and tobacco leaf pieces just ooze a timeless chinoiserie, floral glam quality plus they’re accented with gold and birds… it’s the perfect Monica type thing. 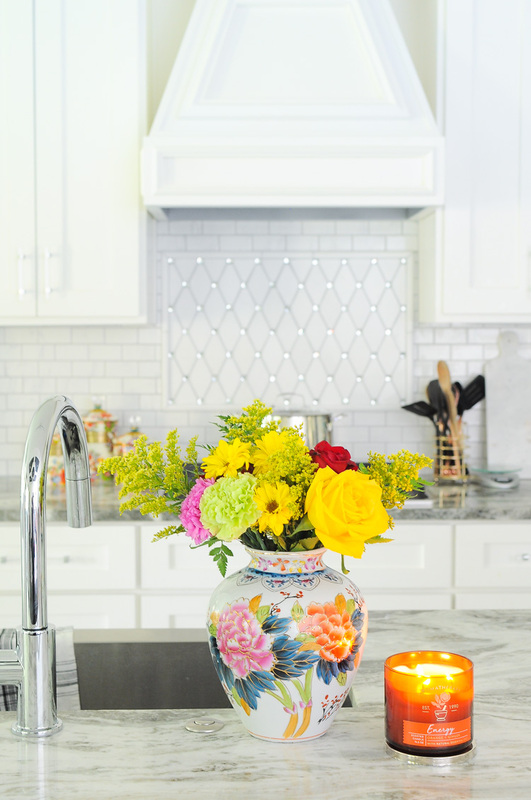 It’s also a very versatile pattern that can be mixed and matched in a variety of ways to make it feel more traditional or more eclectic. 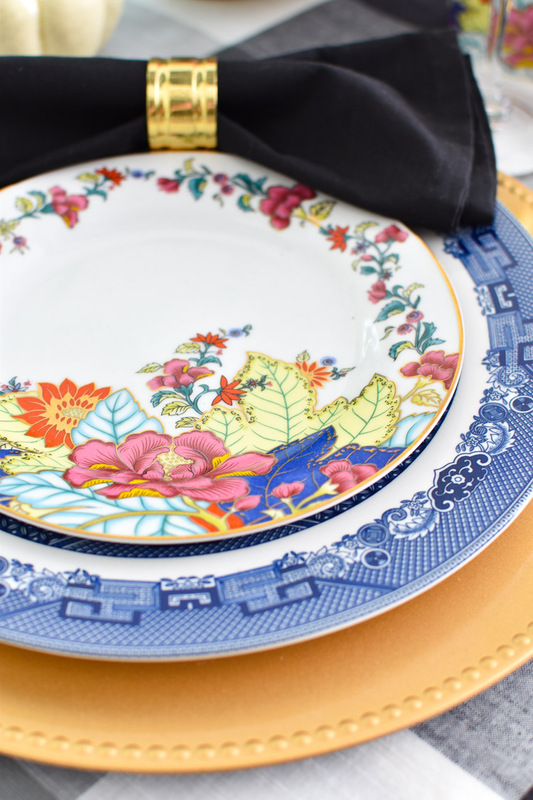 Here’s a sneak peek of my salad plates paired with blue and white chinoiserie dining plates on my fall table. 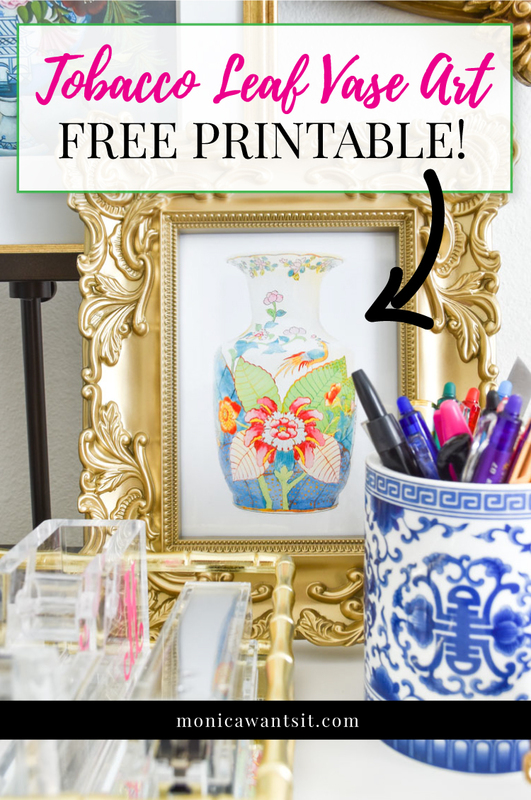 As a fun freebie, I took pictures of one of my salad plates and of my vase and gave them a watercolor sketch effect to create these free printables! 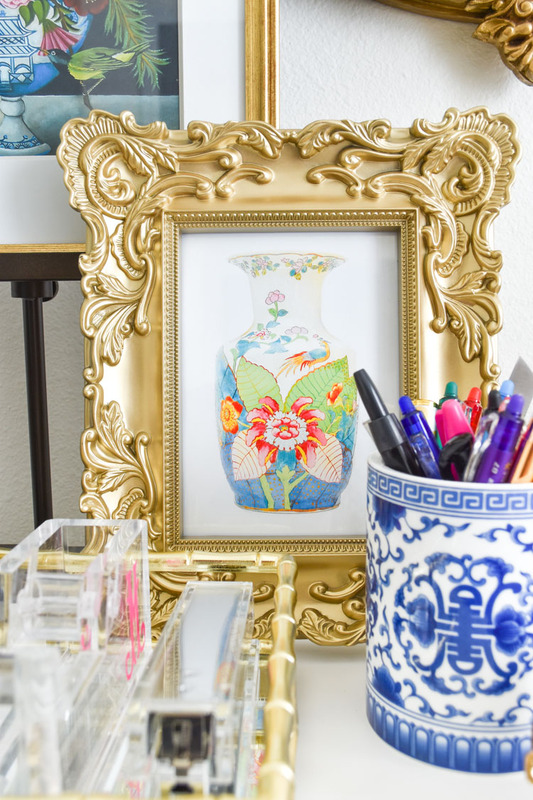 Print them out, trim them down to 5×7 and put them in a frame of your choice. This is a nearly free way to add some tobacco leaf style to your home. You can head to this link to download your freebie today*. I know for many of you this was 1,000 too many words about tobacco leaf, but given how many of you are now noticing the pattern and sending me messages about it on my Instagram, it deserves some extra love and attention on here. 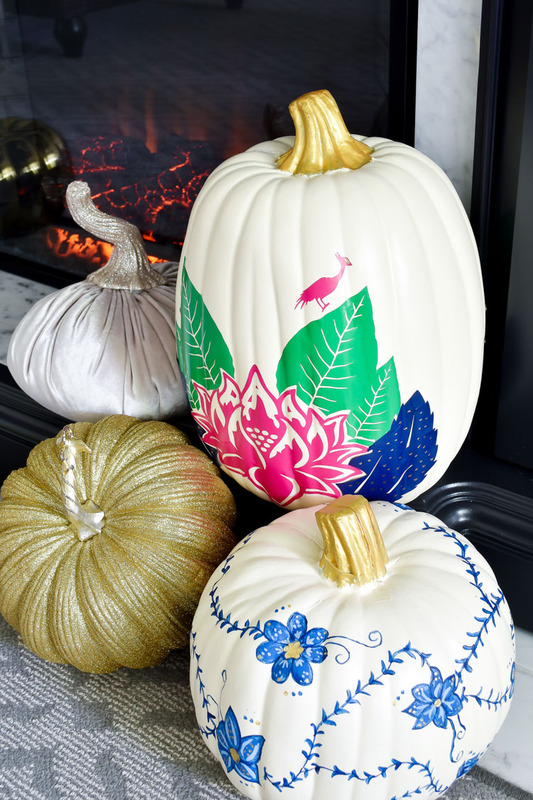 Don’t forget my tutorial on how to create a tobacco leaf china inspired pumpkin is right over here (and the free files are also available for download). Off to check my eBay alerts! Try Etsy for the Bamboo flatware. I found a huge 12 place setting set with more pieces for each place setting then I will ever use really reasonable.